In July 2017, I attended CosmoProf Las Vegas. I already reviewed Lechat in Fantasea, ella + mila Velvet Matte in X on the Beach, Skinn Don't Budge Waterproof Cream Eyeshadows in Non-Matte, Nature Nut For Dry & Damaged Hair Shampoo and Conditioner, LuLuLun Plus in Rose, Dengi Hair Iron, BioRepublic No More Years Eternal Radiance Mask, and Lisse Real Hydrogen Rejuvenate Mask. Here's another review of LuLuLun. I took this picture from my Instagram. 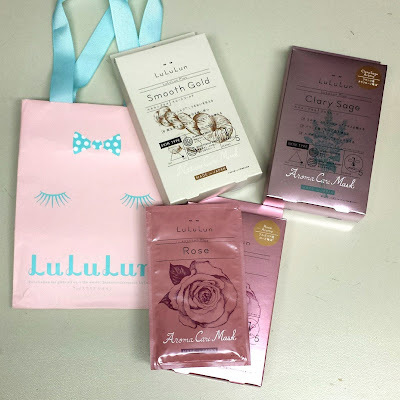 I already reviewed LuLuLun Plus in Rose (bottom). For this post, I will review the mask on the top right. 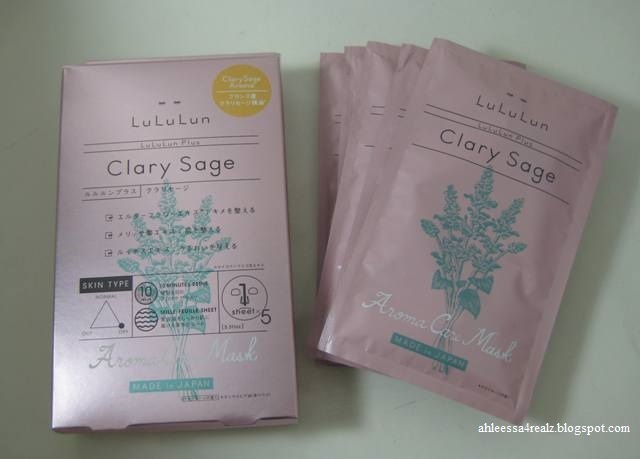 This is LuLuLun Plus in Clary Sage. Since I did a thorough review of LuLuLun Plus in Rose, I will base this on that. Here's a closer look at individual packaging of the sheet masks. Here's a closer look at the sheet mask. This picture was taken for LuLuLun Plus in Rose. Here's how the mask looks on me. This picture was taken for LuLuLun Plus in Rose. Now for my overall opinion... First of all, there's a slight scent. It smells like herbs but in a good way. I'm not too keen on herbs especially when my parents boiled Chinese herbs. It just sunk up the house. 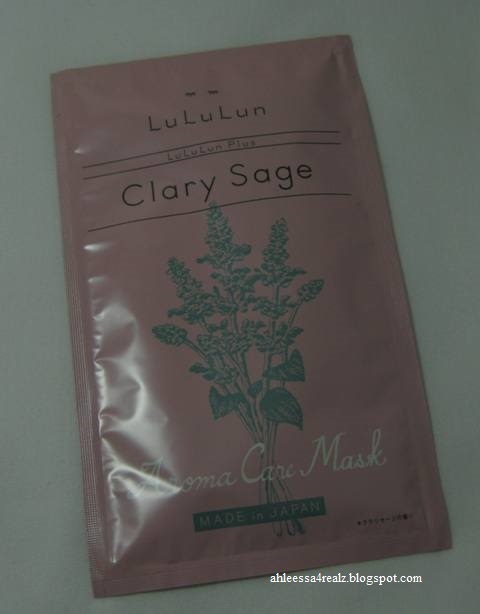 To be honest, I have no clue what clary sage is. I actually had to Google the definition. It's a herbaceous plant. Now it makes sense for the smell. I just sniffed the mask and yup, it smells like herbs. Secondly, I like the packaging of the box. It's shiny and prettier than the individual packaging, but they're both nice. They're well-made and sturdy. I cannot see either of the packaging ripping unless you are rough with the packaging. For that reason, it's travel-friendly. The dimension of the mask is nice. The width is nice, as well as, the length of the chin. It's longer and wider than my face. I prefer bigger masks than small. I like getting every part of the face or at least that's my opinion. The forehead is a little bit shorter than I like but it's alright. I wish it was slightly longer especially in the corners of the forehead. The nose is interesting. It's wide enough but the length is weird. Instead of pointing down, it points up. I'm not too sure why. Also, the sheet mask is on the thick side. I don't have to worry about unfolding and it rips accidentally. The thickness helps keep the essence in place. With that said and third, there's a lot of essence. I use the leftover essence from the packaging on my neck and chest. I need all the hydration possible with age and this dry winter weather. Since the mask is on the thick side and it keeps the essence, I am able to mask for 30 minutes or more. I don't have to worry about the sheet mask drying out. It's extremely comfortable and does not sting the skin. Lastly when I take the mask off, I notice my skin is brighter and less noticeable freckles. My skin also looks smoother and younger. 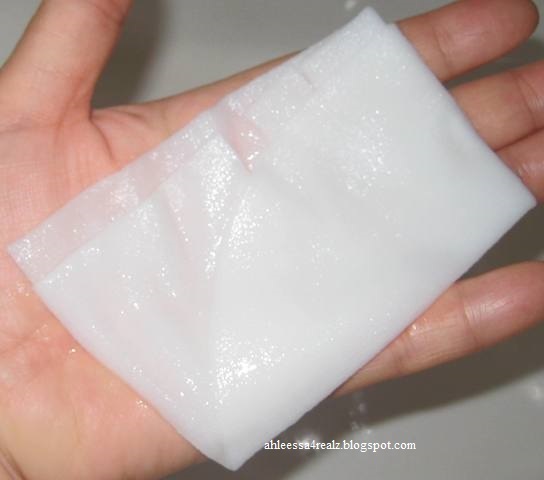 It definitely hydrates my skin and I see great results right after. Of course, it doesn't last for days but it's good the next morning. The reason why I mask is to give instant hydration and this sheet masks does that!